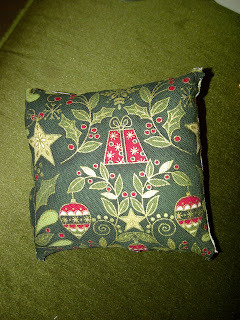 I got given some lovely Christmas charm squares for free in a little fabric shop in a nearby village sometime over summer. We went in looked around and the shop owner gave these to me as she said she loves to encourage young people to sew. 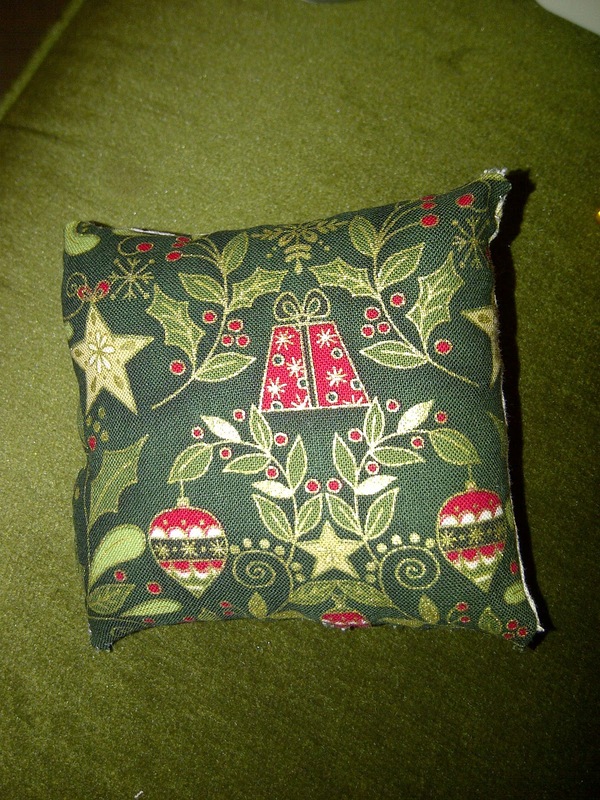 I think I was given 13 squares and so far I've used 4 of them to make 2 of these little cushions.